Our friend, colleague and leader Dr Bruce Shepherd AM passed away at 7:30 this morning in Bowral, NSW. Dr Bruce Shepherd AM was the founder of The Australian Doctors’ Fund (now Australian Doctors’ Federation), which, since its inception in 1990, has worked diligently to fulfil its purpose of “strengthening, defending and promoting the patient-doctor relationship”. Dr Shepherd was also the founder of the Australian Society of Orthopaedic Surgeons (ASOS) and the Council of Procedural Specialists (COPS), a past President of the NSW and Federal AMA, and a President of the Australian Orthopaedic Association (AOA). He held many other positions in medical organisations and was responsible for building AMA headquarters in Canberra. In 1984, Dr Shepherd led the NSW Doctors’ Dispute against government intervention into the doctor-patient relationship. As such, he became a well-known medical leader, fearless and prepared to defend freedom and justice for doctors and patients. 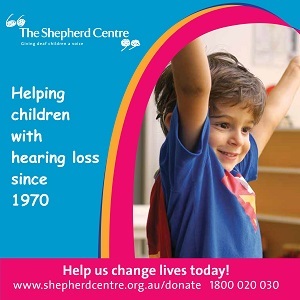 Dr Shepherd was also the founder, with his late wife Annette, of the Shepherd Centre for Deaf Children, which introduced early education in language and speech for profoundly deaf children. The necessity for this centre became clear to Dr Shepherd when his own children Penny and Daniel could not find a suitable pathway for language development because of their profound deafness. Dr Shepherd used his own capital and resources, and with the support of colleagues, friends and parents of other deaf children, they founded what is today one of the world’s leading centres of excellence for helping deaf children achieve a mainstream education and vocation. We will advise of funeral arrangements when they are known. Thank you for subscribing to our news updates! The Australian Doctors’ Federation is the only organisation established and dedicated to protecting the independence of the doctor-patient relationship.